One very popular material for garage door design is wood. Wood garage door offers a timeless appeal, especially for older homes in the Boston area. But wooden doors can present a host of problems, too. So what are the pros and cons of getting a wooden garage door, and is it the right garage door design for your home? The Mass Garage Doors Expert can help you decide. They are beautiful. If you want a really beautiful garage door that can increase your curb appeal and even the value of your home, a wooden garage door might be the right choice. They can be built to suit any size garage door opening. Wood is a versatile material, so your garage door can be built to suit a garage door opening that’s an unusual size or has a sloped entrance more easily than with other materials. They offer some soundproofing. This can be an advantage especially if you live on a busy street or in an otherwise noisy area. They can be easily customized and changed. If you want your garage door to match your home, you can paint a wooden garage door easily. If you change the color of your home, you can easily change the color of your wooden garage door. They are relatively resistant to damage. Most wood doors are difficult to scratch, dent, or otherwise damage. If it doesn’t get damaged, though, they are usually easy to repair. They are heavy. Wooden garage doors aren’t easy to open with manual power due to their size. You’ll probably need a heavy-duty garage door opener to handle the weight, as well. They require much more maintenance. Wooden garage doors take a lot more care than garage doors made of other materials. You’ll need to occasionally sand and paint the garage door to keep it in good repair and will need to make sure water doesn’t start to rot the wood. They can require a larger initial investment. While a good wood garage door should last a long time, they can be more expensive than doors made from other materials. So is a wooden garage door right for your home? It might be if you are looking for a beautiful garage door that complements your home’s decor and you aren’t concerned about the investment or the maintenance requirements. Our garage door design team can help you find the wooden garage door or a door made from another material that’s more suitable to your space. You can get a free estimate on all of your garage door needs from us today, from installation to design to repair and more, just by contacting us. Give us a call or fill out the form on our website and Mass Garage Doors Expert will get back to you as soon as possible with the information that you need. 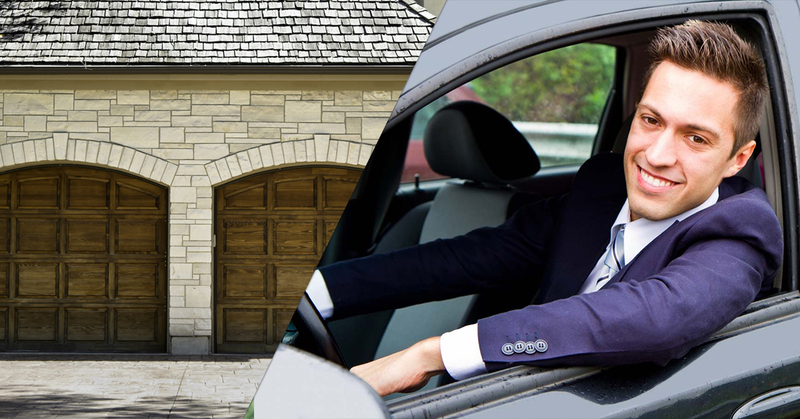 Let us help you find the perfect garage door for your Boston-area home today!